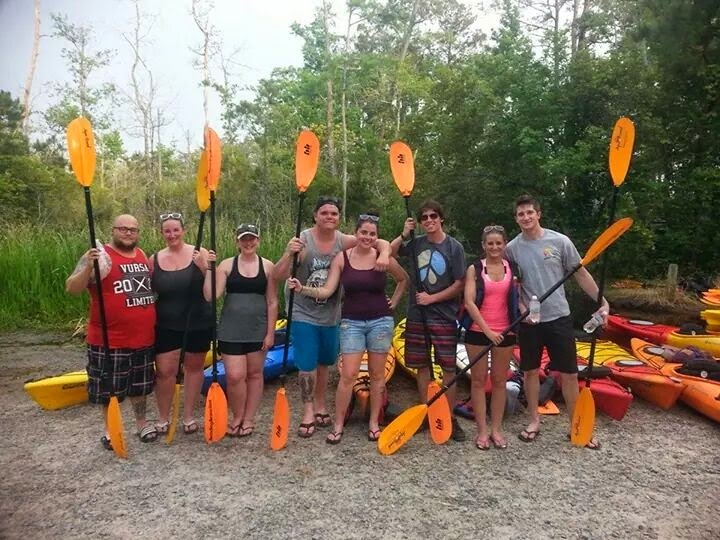 Kayaking in Sandbridge: Memory Monday July 28, 2014.
from Jenn Eustace of Oaklyn, New Jersey who stayed with us in May and shares her Kayak adventure with us. Back bay is one of the great kayaking areas on the east coast and there are local companies that can set you up with a kayak or do a guided sunset tour, adventure tour or lunch tour of the beautiful Back Bay Wildlife Refuge. Thanks Jenn for sharing your photo memories with us. We look forward to serving you again soon!